jadepixeldoll.com is a website dedicated to asian ball-jointed dolls (BJD), especially Volks Dollfie Dream (DD) and similar style dolls. I’m Jadepixel, the owner and operator of this blog, though outside BJD circles I’m known as Kelly. I’ve been collecting and customizing dolls since 2009. I created this website to share photos, news, tutorials and other tidbits of interest to folks in the BJD hobby. Currently I primarily collect Dollfie Dream, but I also occasionally add Super Dollfie and Azone PureNeemos to my collection. Most of the pictured dolls are my own unless noted otherwise (like photos from doll meetups and conventions, news about upcoming releases, etc). I try to credit owners/photographers whenever possible. If I messed up or if you don’t want your images posted here, please contact me! And I try to tag my posts to include the model and manufacturer of the dolls pictured, but you can always ask a question if you’re not sure. Where do I buy these dolls? For Dollfie Dream and Super Dollfie standard models and parts, check Volks USA and Volks International. For Azone and other dolls try AmiAmi or Hobby Search. To buy dolls and items from my personal collection check my web shop. Occasionally I do faceup commissions and eye sales, follow my website for more info and updates on those. Because Volks often changes the process and rules around buying limited edition Dollfie Dreams, you should read about specific event rules at the DollfieDreams forum. 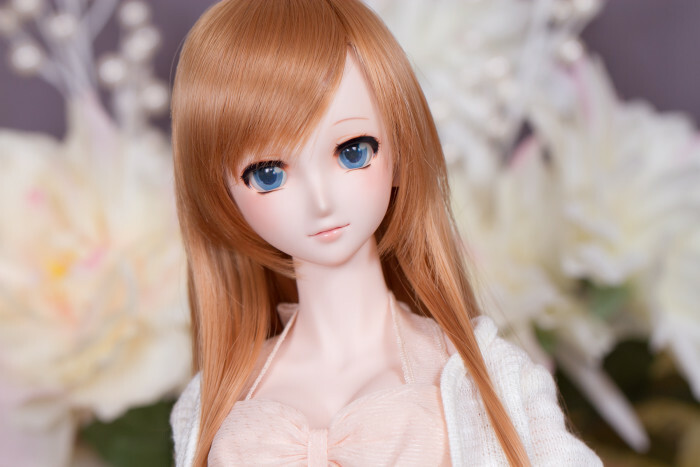 How do I customize Dollfie Dream? Using the same materials as for Super Dollfie faceups, but with an anime style approach. I use watercolor pencil, liquitex acrylic paint, pastel powder and Mr Super Clear Flat sealant for my faceups. Because of difficulties with the newer formulations of Mr Super Clear Matte, I’m switching to airbushed Liquitex varnish as a sealant. Please follow the product instructions and use a ventilator with spray sealants, and a particle mask when sanding or using pastel powders. Where can I learn more about Dollfie Dream? The best resource is the DollfieDreams forum. Searching there will answer most any question you can think of! jadepixeldoll.com welcomes links from your website, blog, or other hyperlinked abode. Attribution for content should be to ‘jadepixel’.